Unbiased, independent advice on buying or selling your piano. I believe that a piano tuner should be first and foremost a tuner, not a dealer. A tuner with a stock of pianos is by definition a dealer, and is likely to try and sell one of his own instruments rather than offer the best instrument for his client’s needs. Instead I prefer to listen to a client’s requirements and locate a selection of pianos for the client to try. These can be from a trusted network of high quality dealers or from private clients wishing to dispose of their own pianos. It is human nature for a piano dealer to try and sell brands that he has in stock or has a dealership for, but this may not be the best choice for his customer. All too often I hear tales of dealers spouting nonsense such as “Yamahas all sound bright” or “Chinese pianos are all rubbish” and other misleading statements in order to sell existing stock of other makes. I never forget that it’s the client’s own preference that should be catered for, and I don’t push any one particular brand over another. If you are looking to buy a used piano, I am more than happy to provide impartial advice and information in order to help you make your decision. I can also carry out a pre-purchase inspection of any piano on your behalf, whether for sale privately or from a dealer. The cost for this is typically half a standard tuning fee, and could save you the annoyance of buying a faulty instrument. If you are looking for a brand new piano, I can usually source an instrument for you through a main dealer. I am proud of my relationships with many excellent dealers throughout the country, and I can often negotiate significant discounts whilst retaining full manufacturer’s warranty. If you wish to dispose of a piano, I am happy to sell it on a commission basis, subject to inspection. Commission sales have been successfully completed on many pianos of all types, and if priced correctly can sell quickly. 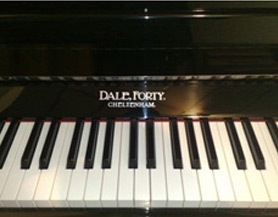 All pianos for sale on commission are viewable on the ‘Pianos For Sale’ page. Occasionally I may have a need for a specific make of piano, so in addition I may offer an outright purchase price, so it’s always worth asking. I can always obtain the best prices for Steinway instruments of all ages.